I recently finished an oil painting of my grand daughter Sophia and I will be doing posts of my step by step process of the creation of this painting. The first step was to take photos of Sophia, to use as reference for the painting. 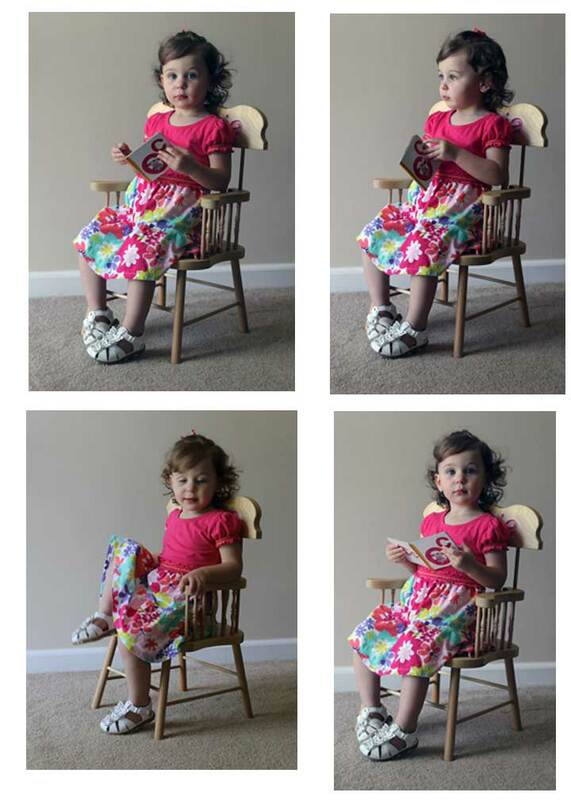 Above are four of the many photos I took of Sophia on May eighth 2012. I started two paintings but finished one,which was based on the upper left hand photo. The second, unfinished, painting is based on the lower right hand photo. I have now painted a portrait of seven of my grandchildren. I’m waiting for Dominic ,grandchild number eight to get a few years older. Step two will be posted soon. I love reading your Journal of Seeing! And, sorry for the loss of your cat, Neko. Thanks Deanna for reading my blog and your sympathy for the loss of our cat Neko.